I would like to become a better letter writer. My son is in the military and desires letters but I sit down to write and my mind goes blank. I do write but wonder if he finds my letters to be tedious and dull. 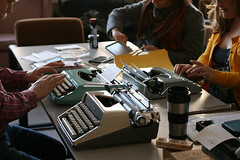 Does your Letter Writers Alliance offer tips to those with little letter writing skill or how to improve their skills? Any tips that you could suggest would be much appreciated. It's past time I did a Postal Queries write up on this topic. Your question is the prompt I needed. I shy away from letter composition instruction because I don't feel like an expert. However, I write about a 100 letters a month; so I should probably stop feeling impostor syndrome about it. Letters are as individual as the people who write them. I can only tell you what I think works for me. I certainly hope my letters are enjoyed by their recipients. What you think is "tedious and dull" is probably pretty great because it isn't what that other person is experiencing. Anything outside of one's known routine has interest, I think. Plus, they are looking to connect with you and the things you do make up who you are as a person. One of the things I often do in my letters is that I try to set the scene.The five senses are your friend. I like to write about where I am, what I see, hear, and smell. It's a bit more than a weather report and it may prompt me into telling a memory or story. Especially with newer pals, I find talking about food and food-likes to be a good way to get to know people. For you, you definitely already know your son, but maybe he's been missing some of the comforts of home and your description of favorite meals might help. Or maybe you've tried something new. Maybe he has. There's a lot to talk about there. I think one of my failings as a correspondent is that I don't ask enough prompting questions for my pal to respond to in kind. To aid myself in that, I try to keep in mind that letter writing should be a conversation. You want to leave space for questions and the other person to tell their story. Like you, they might fear that their news is "dull". You asking about it helps ease that awkwardness. For me, it helps to write my responses at the same time that I'm reading the letter. I think it makes my writing feel fresher. You don't get to draft conversations. So, I let my pen go where it is led by the letter. Occasionally, that means I ask a question that then gets answered immediately, but that strikes me as more charming than rude. When it does happen, I point it out, and make a joke about it. I often end up describing how I respond to letters at that point too, so that the reader knows where I'm coming from. In fact, most of my pals have probably heard me say all this before. Ask yourself, why am I writing this letter? You said in your question that it's because your son wants letters. He wants to hear from you. I expect, that's what you want in return, to hear from him, too. On the whole, that's the bar for any successful pen pal relationship. I do have a few pen pals who express frustration at letters from their pals that never dip below the surface of "Here's what I did today." I try to keep in mind that I "give as good as I get." It all goes back to the idea of the conversation. If both parties are more comfortable in the deep end, then by all means, pop down the politics rabbit hole. Get into life goal questions. Explore the philosophy of who you are and find out who they are in turn. Be understanding and mindful that not everyone is up for that though. Some people just want to tell you that it's been raining or only go as far as the last book that they read, and that's okay. To sum up, letters are great. Everyone loves a letter. Enjoy giving the gift of your time and spending some moments in conversation with yourself and them. Let the conversation flow. I hope I've eliminated some of your worries about this and encouraged you to get writing! P.S.Here's a blog post I did for pen pal writing prompts, and one on Mail Tags. The announcement of the new scented stamps to be released soon from the U.S.P.S. has prompted a lot of discussion involving allergies and chemical sensitivities. (Wow, the Facebook comments. Yeesh. And people ask why we don't have a Facebook account.) Here at L.W.A.H.Q. we promote an "Ask First" policy in regards to scented mail. Especially in those new pen pal relationships, you should avoid using perfumed paper or ink before you know whether or not your pal has sensitivities to such things. We have honestly had members contact us because they couldn't open a letter due to the smell. It's not something you might think about; so we're asking for awareness and courtesy. If you're going to want to use the scented stamps or add fragrance to your mail, let your pals know so they can opt-out if they need to. "I wondered if you could do a blog entry on how you organize your incoming mail. Do you keep all of the letters you receive? If so, how do you organize them? By person, by date, by color? Also, do you keep copies of your outgoing mail, and if so, how do you organize those?" Thanks for asking! Well, it’s a system that is constantly in flux. My recent strategy is to try to implement a chronological order to my incoming letters. Hopefully, that means that the person whose letter came in two weeks ago is getting a response before the letter than came in two days ago. The way I keep them in order is by keeping them in a stack in my letter writing bag. Sometimes the stack gets out of order because it falls off my desk or I put the new letters in the wrong spot. In those instances, I try to sort things by postmark date and answer the oldest ones first. It’s not very sophisticated, but it works for me. I don’t open a letter until I’m ready to answer it. This alleviates the problem of lost letters; the sad, empty envelope with its memory of events half-remembered. If I am not at home to immediately seal and stamp my reply, I put the reply along with the source letter back into the sender’s envelope. Sometimes I will seal my replies without addressing the envelopes, but only if I have a sticky note on the front with the address. It’s always a bummer to end up with a mystery letter that you’ll have to sacrifice the envelope to figure out its destination. And then there’s the big question; do I keep the letters and if so, how do I organize them? Since 2011, every letter mailed to me or the L.W.A. has gone into our archive. That’s a fancy way of referring to cardboard boxes in the closet. When I finish replying to a letter, I deposit the letter in the box. That’s it. I have MANY, MANY BOXES. When I get to five in the closet, they get transferred to the studio. There’s about twenty or so right now, I think. The letters are in no way organized inside of them. There’s probably some interesting sociological structure to the strata, but it isn’t by design. One of the dreams I have is to convince a library or other organization that they want this info and they’ll have people that put it into order. As for recording the mail I send, other than the Instagram photos I take, there’s no cataloging that I do. I can’t summon the energy to keep a ledger. To me, that’s more work spent not writing letters. I’d rather use that time to write people back. I don’t keep copies. I don’t ever wish to be presented with myself from the past and if a letter gets lost in the mail, that’s part of the process. I take it as an acceptable risk. In my time running L.W.A., I have found that letter systems are as varied as there are letter writers. This is mine. It doesn’t have to be yours. I do hope it gives some clarity as an example of there being no right way to do it. There’s only the way that works for you. If you’ve got tips on letter organizing, feel free to share in the comments. Oh, and if you have a query, send us a note or write us an email. We’d love to try to answer it. Hello lovely members. Kathy and I have updated the Frequently Asked Questions section of the website. Having some problems with remembering your password? Don't know how to get another pen pal? Check here first! If you still are perplexed by something, ask us via good ol' electronic mail. Or send us a letter! I love all the colorful tape, stamps, and textures on the gorgeous mail you photograph but, doesn’t the post office HATE all the excess? I thought their guidelines were super strict. And are you using old stamps for decoration isn't that a no-no? Sorry, but I just don't want to make a beautiful envelope and it be rejected. Thoughts? Thanks for the query. Your concern is a valid one. You’re right that there are a number of postal regulations that dictate what can and can’t be mailed and how it should be handled. The glorious thing about mail art is that even with those rules, as long as something has the proper postage* and is addressed correctly, odds are good that it’ll get delivered. For fancy mail, there are some basic points to keep in mind. Items under 13oz. can be mailed with regular stamps from a blue mail box. You can avoid any kind of counter interaction/rejection that way. That’s why we recommend it with our Pigeon Post. While our pigeons are not “liquid, fragile, perishable, hazardous and do not contain lithium batteries or perfume” and they are under the 13oz. weight limit, sometimes P.O. Clerks can be less than amused by them. This is the peril of the counter when engaging in experimental mail. There are minimum and maximum sizes for letters to be processed in the postal machines. The minimum is 5” long X 3.5” high and 0.0007” thick. The maximum is 11.5” long X 6.125” and 0.25” thick. The maximum weight for a letter is 3.5oz. A letter will be charged a non-machinable surcharge if it’s a square letter, 5" x 5" or larger, it doesn’t bend easily, has clasps or similar closure devices, has an address parallel to the shorter dimension of the letter, is lumpy, or the length divided by height is less than 1.3 or more than 2.5. If the letter is over the maximum dimensions, it will be charged at package rates. This section of the USPS site is handy with this sort of info. *PRO TIP: I post all of my large letters at package postage rates. When in doubt, add more stamps! When addressing your mail, keep in mind that the postal sorting machines scan from the bottom right-hand corner of the letter up. The scanner is looking for the Zip Code to properly route the letter. If you don’t write the zip clearly or write it up too high on the letter, which can result in the letter going astray. Also, if you write your return address on the back of the letter, the machine may scan your address instead and route the letter right back to you. I keep my return address small and in the upper left corner for the most part. PRO TIP: Always use a return address, even on postcards. When using glues and tapes, remember to go for permanent adhesives. Duct tape is forbidden because it melts in the machines. Modern washi tape is OK, but make sure you’re using the good stuff, not the stuff that comes off too easily. Using old, canceled stamps and artistamps for decoration is OK as long as you don't try to pass them off as stamps for postage. Technically, the P.O. wants you to put artistamps only on the upper left side of the envelope, but I've never had a problem. PRO TIP: Enclose your delicate pieces in clear bags or packing tape before mailing. That will keep it all secure. Remember to apply postage to the outside of the tape or bag. We encourage you to push the envelope. If you are really concerned, mail your creation inside a separate cover, but doesn’t that sort of defeat the point? Creative mailing takes a bit of faith, a bit of luck and a lot of stamps. The worst that can happen is that it disappear into the ether. The second worst is that it’ll come back to you. Neither is the end of the world. Should I get a P.O. Box? For anyone who doesn’t know, a P.O. Box, or Post Office Box is a numbered box in a central location (typically a post office) assigned to a person, where mail for them is kept until collected. You rent the box and are given a key to access the mail. 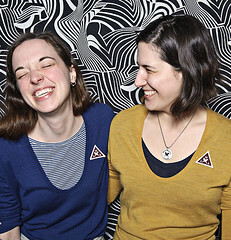 I am frequently asked if it is required for Alliance members to have their own P.O. Box. We don’t require it, no, but we have one ourselves and I’ll tell you the reason why- security. It gives our mail security. Kathy & I get a lot of mail, both personally and for Alliance business. Our wonderful Chicago postal system can be less than reliable with door-to-door delivery. By having a P.O. Box, we are more likely to get the mail posted to us. Plus, that mail doesn’t have a chance to get left on our stoop or mixed in with our downstairs neighbor’s mail or any of that nonsense. Your mail area may not have the same trials that mail in the Chicago area does, but it made sense for us. Our P.O. Box comes with the added bonus that they will hold packages for us and not make us go to the Mail Annex center to pick them up. That place is…not the nicest place in the world. It gives us security too. It keeps our home addresses private. When opening up to the wide world of mail, it is best practice to keep certain information private. I had to learn that the hard way. I started getting unsolicited mail from currently incarcerated people at my home address. We aren’t a prison pen pal organization; that requires a lot more insurance and oversight than Kathy and I can provide. So, we got a P.O. Box and I, and my family, got peace of mind. Do you have a P.O. Box? What do you like about it? What don’t you like about it? Would you recommend it? Share in the comments! And send us your postal queries! A question I hear all the time is, "What do I write to a pen pal?" My own pen pal, artist, and L.W.A. member, Mary E. recently sent me over a handy list of 50 things you can write to a pen pal about. It is by no means all to write about, but it's a great starting point and reminds me of Mail Tag. I especially like the "somthing illegal you did" entry. That sounds mighty interesting. If you write me, I might tell you about it. Or not. Because I would never do anything illegal that I would put in words on the Internet. Thanks for getting me arrested sharing, Mary! “Feeling gratitude and not expressing it is like wrapping a present and not giving it.” – William Arthur Ward. Happy Thanksgiving! I’ve recently finished a marathon of thank you notes and letters following my wedding. Emily Post etiquette says that I had six months to complete them in, but, to me, that was unacceptable. People needed to know that we had received their well-wishes, enjoyed their company and were basking in the love that they had showed us. Plus, I love sending thank you notes. They are just another present to me. I send thank you notes for thank you notes, hence our “It was my pleasure” cards. I know I’m not alone in this and I know that most of you readers are nodding in agreement. I also know that you probably know someone or a lot of someones who don’t send thank yous. I’m not sure where that sad trend began. I don’t think that modern technology is necessarily to blame. What was once a staple of proper communication is now so rare as to be impressive. It can be quite the smart move to send a handwritten thank you following a job interview as it makes you stand out. Once, that was not the case. Once, not sending one would have been a surefire way to not get that job. So while I don’t know what changed, exactly, I do know that I want to help fix it. I am heartened every time I see a parent buy thank you notes for their child to send. If someone in your family is a particular offender, try gifting them some personalized stationery or fancy thank yous this holiday season. Add some postage stamps to really send home the message. Passive-aggressive? A little, but hey, it’s better than just not giving them anything, right? If you all have any other ideas about getting thank you notes out of non-writing people, please share in the comments! And thank you! They’re there, sitting on the desk, piling up in the inbox. Your wonderful pen pals have all written you back and you were elated to hear from them. Somehow, they’ve all been conspiring to return all the letters at once and now you’re feeling like you don’t even know where to start writing someone back. Another day goes by, and then another, and now you feel embarrassed that you haven’t returned it. Another day passes. Maybe they’ll think their letter got lost in the mail. Another day. Another. Maybe they’ll think you moved. Maybe… they’ll think you died. Feeling guilty enough yet? Well, don’t! What? That’s right. I do not want anyone to feel mail guilt ever. Why? Because writing letters should be fun, it shouldn’t be an obligation or something that you spend half a page apologizing for at the start of your letter. Letters don’t go bad. They’ll wait til you’re ready. I am not advocating not writing back. I’m just letting you know that it’s okay if you can’t write back right now. Chances are, you can’t write back because you’re busy doing stuff. It’ll be great for your pen pal to hear about that stuff when you’re ready. Kathy has a technique that I love. If she is really behind in responses, she’ll send a quick postcard to let her friend know that their letter arrived and she’s excited to write them back soon. I’m no good at that; I just make people wait. I am not immune to letter guilt, but I do my best not to let it get me down. In my eventual reply, I try to spend no more than two sentences apologizing for my tardiness. P.S. I know I'm behind in my mail right now because I've been preparing for the Renegade Craft Fair this Saturday and Sunday at the Fort Mason Center Festival Pavilion in San Francisco. Hope to see you there! It’s not really something you think about when first jumping in to the pen pal world; but sometimes, even when you find someone who writes you back, there’s something just not right. In most cases, it’s probably just a personality difference; maybe they are extremely in to rabbits and write to you all about rabbits all of the time and you really don’t have anything else to say to them because you prefer horses. Or maybe they only write to you a small note card about the weather in San Diego and it’s the same every single time and you’re looking for more of a mutual correspondence. Whatever the reason, know that it is okay to feel unfulfilled. Not every pen pal has to work out. Not every epistolary conversation has to be one that lasts forever.